In 2014, Johnny Loreti launched his training business, Anthrofit, where he coaches one-on-one clients in person as well as online in basic movement patterns to enhance strength, speed, and overall quality of life. He realized, after pursuing a degree in engineering, that he wanted to incorporate his passion for health into his career, and jumped head first into the fitness industry. He has also competed in a few bodybuilding shows where he qualified for Nationals three times in the Men’s Physique division. Loreti also founded a non-profit bootcamp called 20 to Zero, in partnership with the Home Base Program, in which the money generated from classes supports veterans with PTSD and traumatic brain injuries. This guy’s breakfast looks more like lunch, but who are we to judge? He strength trains four days a week and practices Brazilian Jiu Jitsu three times per week—he needs all the protein he can get. Loreti says his morning typically starts with half a grapefruit with stevia and a small glass of unsweetened, not-from-concentrate cranberry juice from Trader Joes, which he says helps with metabolism and absorption of nutrients. 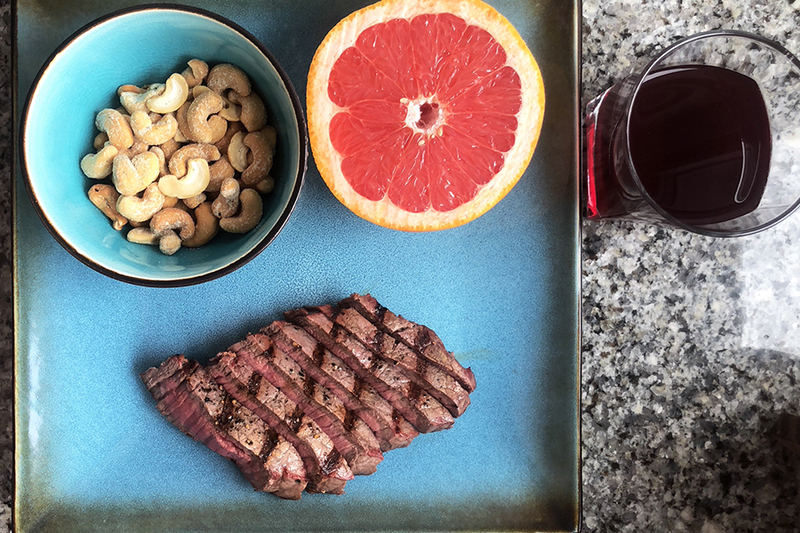 The rest of his breakfast includes an eight-ounce steak, either grilled or pan-cooked, and a handful of cashews. Sometimes, he’ll have homemade cold brew coffee with a serving of MCT oil.